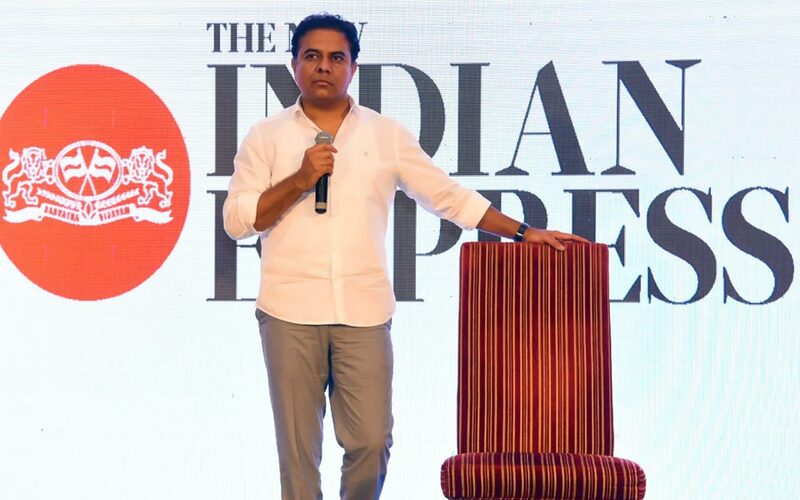 Telangana, the start-up state, offers a sea of opportunities to entrepreneurs and it does not want innovation and entrepreneurship to be confined to the capital city but spread to other major cities and towns. The state government has planned IT hubs at Nizamabad, Khammam, Karimnagar and Warangal by investing `25 crore on each to spur IT-based economy in districts. It is apart from mixed IT and industrial parks planned in Mahbubnagar and Nalgonda districts. About incubation space in Hyderabad, Rao said the city had the largest number of co-working spaces funded by Union government’s department of science and technology. The second phase of T-hub startup incubator of state, will be up and running in the next two years. The goal is to create at least 1 million square feet of incubation space in Hyderabad in three to four years and that would be purely in government sector, he pointed out. To a question whether he finds it difficult to handle his Twitter account, the minister said, “Can somebody in this room help? I have a problem in filtering out hundreds of comments/tweets I get everyday, some of which are also very abusive. The problem is with picking, identifying, prioritising and coming out with response to questions that warrant immediate reply from a minister. “He was not left disappointed as a young entrepreneur rushed in from the crowd to offer help, following which he directed her to Dileep Konatham, director, digital media, IT E&C department. Software professionals in the city and members of an IT welfare organisation came together to create an exclusive residential township, Digitown. The township will boast of a common workspace to aid software professionals and have amenities that would aid their work culture. Located at Thimmapur, the 33-acre land has 200 plots. “The township will have underground electricity lines besides a common workspace for 50 people and a town hall for holding meetings. It will also aid those who frequently travel to Bangalore or fly from the Shamshabad international airport as it is located by the highway,” said M Sundeep Kumar, founder of Telangana IT Association.